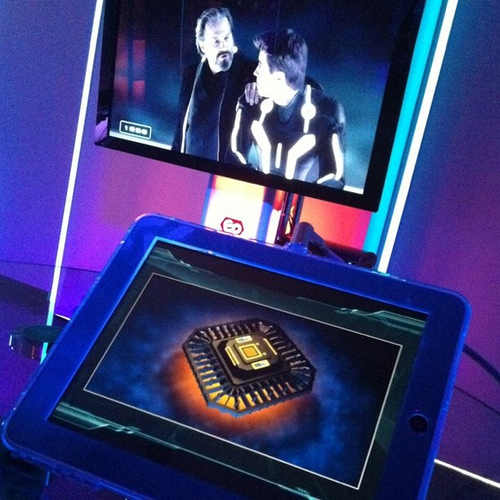 Second-screen technology refers to using a smartphone, tablet or another device to supplement an on-screen experience, such as a television show. This technology is implemented in several ways, such as showing behind-the-scenes information for television shows, allowing you to interact with the cast and crew, and providing background information on a story. As second-screen apps and technology improve, companies are getting more innovative with their implementation methods. The most common second-screen experiences take place through smartphone apps, so a cellphone from T-mobile, AT&T or another provider is required to take advantage of most options. Here are some of the best second-screen TV experiences currently on the market and up-and-coming. 1.) Most second-screen technology is geared toward television viewing, but gaming consoles aren't left behind. Microsoft's Xbox SmartGlass application works to extend your usage of the Xbox 360 on a smartphone or tablet. You can use it as a remote, look through the Xbox's media catalog, and find out information on shows. Microsoft's newest console, the Xbox One, takes this a step further by allowing you to use a second screen on television, as well as on other devices, using voice commands to make it easy to watch TV while using Skype or your Internet browser. 2.) GetGlue is an app that allows you to connect with other fans of the television series you're watching. While many television communities aren't always particularly insightful or entertaining, the community at GetGlue is worth visiting. PBS recommends it as one of their top five apps. 3.) The Internet Movie Database is one of the best websites around for looking up information on pretty much any movie, and the app is the easiest way to have it available while you're watching television. The app is available on essentially every platform, with a mobile-friendly site. This app gives you show times, photos from the productions, star information, ratings, and trailers. 4.) Mashable reports on a second-screen app that is trying to turn the shopping experience into a social endeavor. “Get This” shows you products from the television show you're watching and allows you to purchase them directly through the app. If you're frustrated with not being able to find the neat products that you see your favorite show characters using, this is an app that's tailored for you. 5.) Sports fans benefit greatly from the second screen, and Beyond the Box is one app to enhance your sports experience, reports SportTechie. You customize this app to deliver you sports news from your favorite teams, and it gives you information from 1,000 different sources. It uses both traditional sports sites, as well as social media chatter from sites such as Twitter, to make this a truly inclusive app. Since sports media doesn't cover every little thing that is going on with your favorite teams, this is a great complement to your viewing. It also gets you information such as essential stats on your favorite players. Are you using second-screen apps with your television viewing? Share your favorites below. Image by Phil Whitehouse pursuant to the terms of his Creative Commons license.